Easter and Passover are a mere few days away, and signs of spring are taking root. 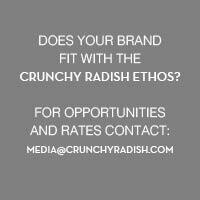 For us here at Crunchy Radish, food is always at the top of our party planning check list, but have you thought about your tablescape? Vibrant and delicious food is essential to any celebration, large or small, yet having a well dressed table can truly add an understated elegance and sophistication to any type of gathering. Local and sustainable food is at the core of our eating philosophy, so why would it be any different for table arranging? We teamed up with the award winning floral designer Sachi Rose Pollard and Olivia Bloch of Sachi Rose Design and with Whole Foods Market to create a holiday table with a conscience. 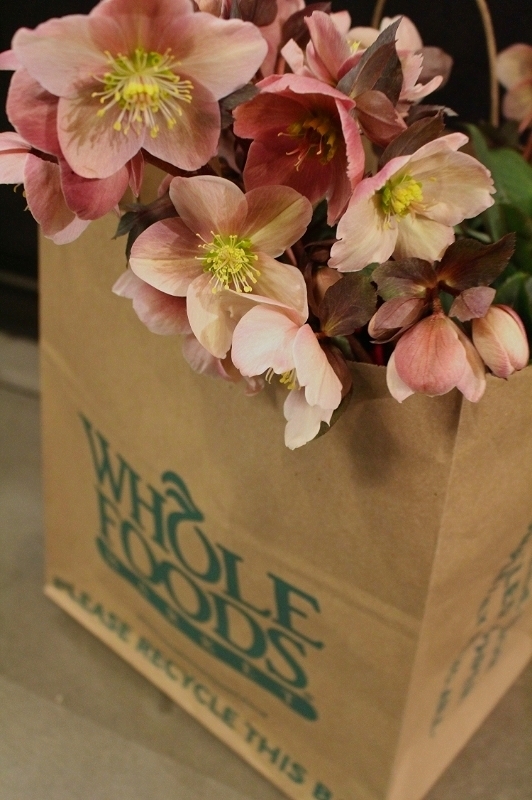 The flowers at Whole Foods Market are local whenever possible, earth-friendly, and ethically grown. Thanks to our friends at Whole Foods, purveying for a gathering just got much easier. Here are our tips on how to curate a simple spring tablescape that will be sure to add a level of elegance to go along with your healthy holiday meal. Flowers are always key to elevate a table or a room. Here Sachi and Olivia of Sachi Rose Floral Design offer simple tips on selecting flowers and creating a stress-free, eye-catching arrangement without breaking the bank. When shopping for flowers, keep in mind a color palate that is appropriate for your home décor as well as the season. For spring, we selected pastels, light greens, and whites. Hold bunches next to each other while selecting to make sure that the colors work. Select filler flowers and greenery that will help fill up space, add volume, lushness, and most importantly, decrease the cost. We opted for viburnum, Queen Anne's Lace, and eucalyptus. Hydrangeas would work well too. For a whimsical and organic look, incorporate non-traditional materials such as, flowering branches for volume and dimension. 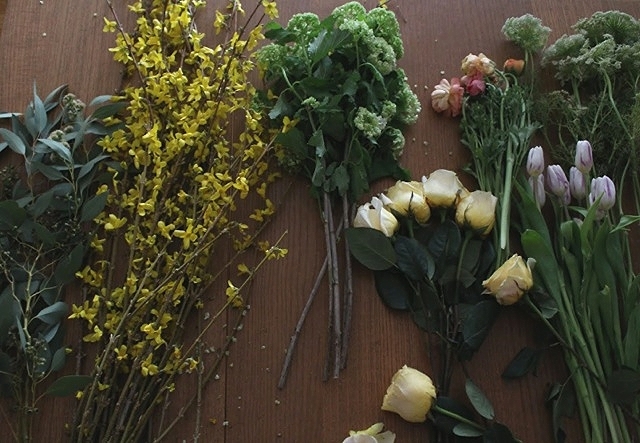 At home, lay out all your flowers on your work surface. 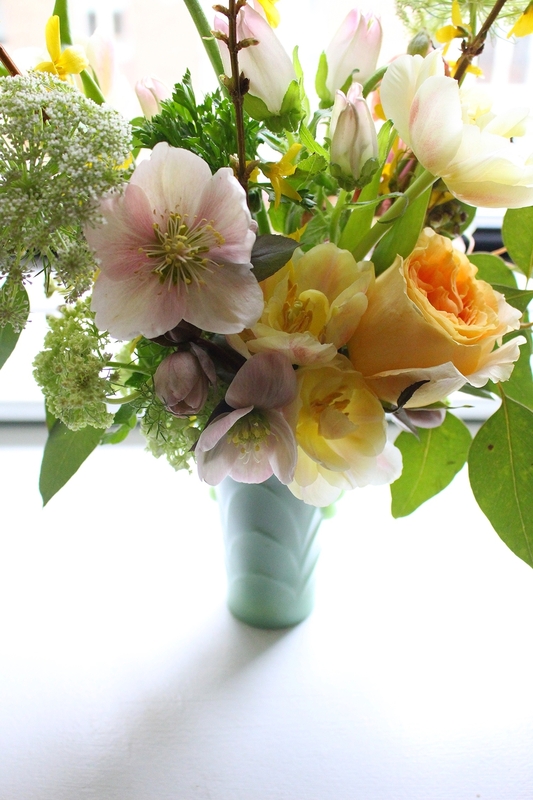 For our spring table, we choose short jadeite-colored vases. We thought that the milky green would be the ideal contrast between the pastel florals and wood surfaced table. When selecting your vase, take height into consideration. You want your guests to have unobstructed views and undisturbed access to food, glassware, and silverware. 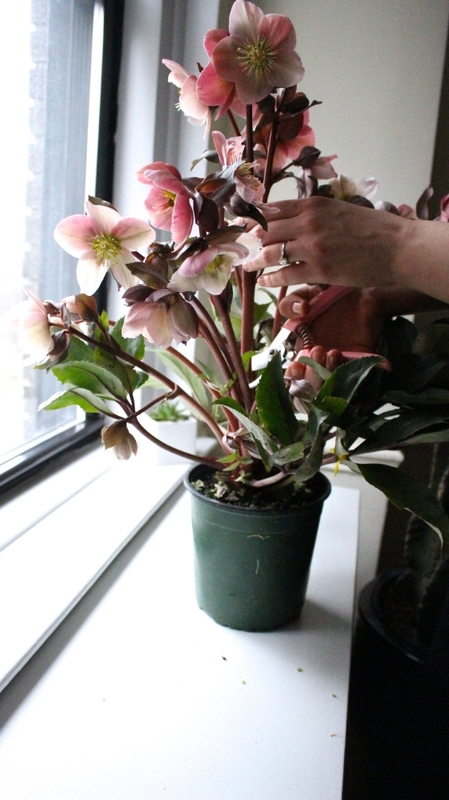 First, clean and cut your blooms. Remove any outer petals from flowers that are brown and shriveled. Cut off all leaves from the stems that will be submerged in water. Greenery in your water will cause bacteria to grow that will poison your flowers. Once cut, immediately place flowers in water. Start arranging by creating a base with your greens/filler flowers. Cut some to the height of the rim and others slightly taller to start creating a shape to your arrangement. After you have a body for the arrangement, start incorporating your splurge flowers. Once again, cut at various heights for depth and volume. Make sure each flower is properly placed for your guests to admire. Sachi Rose noted that using odd numbers of any flower generally looks better. For example, placing 3 roses or 5 tulips in each arrangement in order to create prominence. As you are adding flowers, continue to take a step back and rotate your vase to see your arrangement from different perspectives. To extend your arrangements' lifespan, change the water everyday. Be mindful of the temperature of your room, avoid heated surfaces and do not place florals over candlelight. To create a rustic, spring table, we used vintage floral printed china from Sachi Rose's personal collection. Olivia recommends frequenting thrift stores for mismatched plates and glasses at a friendly price point. For napkins, we used white and green dish towels, eco-friendly with a touch of country refinement. 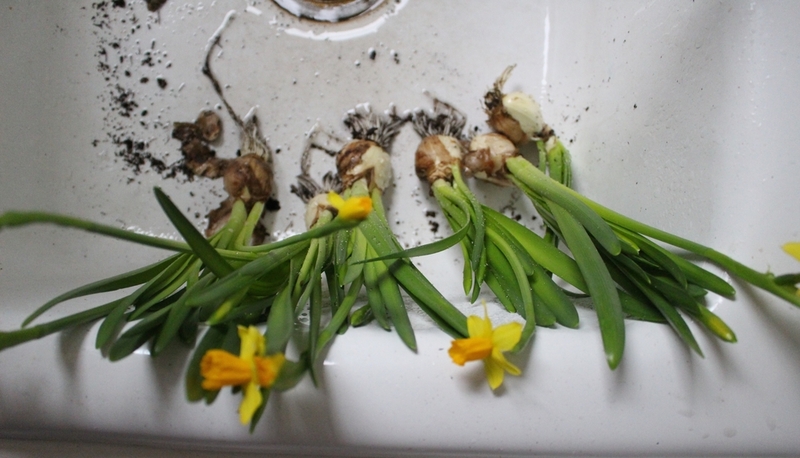 We placed clean flowering bulbs on each guest's napkin to commemorate spring and to serve as a gift for our dining companions to plant and repurpose for many springs to come. Stray blooms are perfect for bud vases or can be combined in small mason jars or milk jugs for a simple and uplifting addition to a bathroom or a bookcase. Eggs are essential elements to both Easter and Passover holidays. 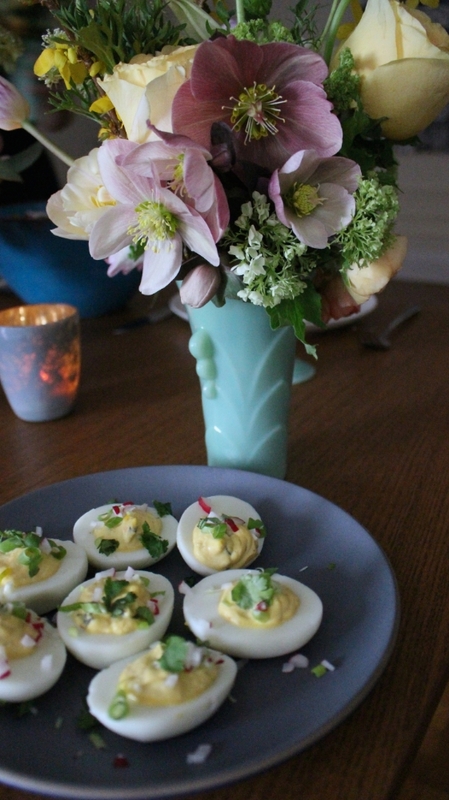 Consider a healthier take on deviled eggs for your hor d'oeurves. One of these dips to go alongside crudités and matzoh. Poppers to keep your guests consciously crunching. A bright and light soup for your first course. Up your side dish game with one of these vibrant grain salads. Treat your guests to a gluten-free, diary-free, vegan dessert that is also Passover appropriate. A huge thank you to Sachi Rose Floral Design for the floral arranging, Olivia Bloch for the styling and beautiful photography, and Whole Foods Market for the flowers. To inspire your table arrangements check out Sachi’s IG and Botanical Brouhaha, a lovely flower blog that Sachi Rose is regularly featured on. 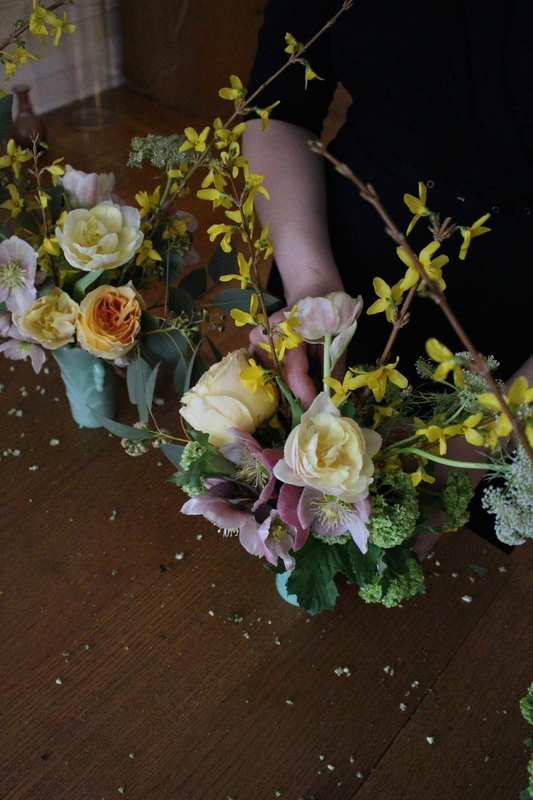 Not sure what to do with all your flower scraps? Compost them by bringing them to your local Whole Foods Market or Greenmarket to reuse and recycle your organic matter. Happy Easter and Passover vegheads.